“The biggest piece that made Blueprint stand out was the requirements repository, and related to that, the traceability capabilities of the product." 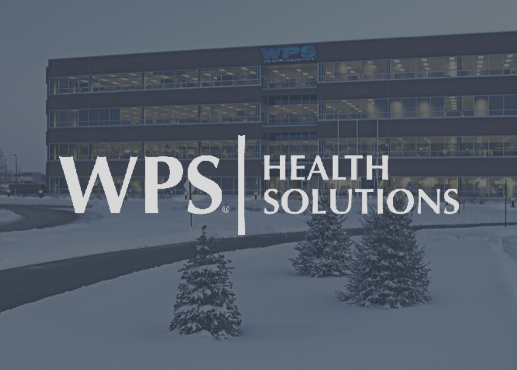 WPS Insurance Corporation is one of the largest and only not-for-profit health benefit providers in the state of Wisconsin. WPS offers health insurance plans for groups and individuals both in private and public sectors. "Blueprint enables our teams to do far more than they could before ." Teams developed requirements in silos, project by project, with no tool to pull them together. This hindered requirements consistency and prevented WPS from reusing requirements across projects—a practice they wanted to adopt. WPS knew visualization would boost collaboration, thereby improving requirements quality and business-IT alignment. It would also support the development and test teams’ understanding of requirements. There were no modeling tools, however, to support this best practice. The Need to Ensure Regulatory Compliance As with most insurance providers, WPS was challenged to make sure its technology solutions were compliant with evolving regulations and internal policies. To support this, it needed an enterprise-scale tool to manage critical non-functional requirements, like those for security and privacy. WPS was facing a long future of implementing new solutions while enhancing existing ones. It needed to enable teams to gain a clear understanding of expectations at the beginning of projects to reduce rework caused by poor requirements. WPS needed a robust requirements tool to support new elicitation techniques, like visualization, while maintaining the control required for compliance. It also sought a tool that supported both Agile and Waterfall development methodologies. After a thoughtful evaluation process, WPS selected Blueprint to manage requirements, support team collaboration, and generate test plans. While WPS is early in its rollout, there are already 58 Blueprint users across three lines of business. Business Analysts, Developers and Testers all interact with requirements in the tool, and managers use Blueprint’s capabilities for review and approval. WPS knows better requirements will lead to improved project outcomes. Its goal is to reduce defects caused by missing and misunderstood requirements by improving teams’ skills and processes and providing them with a solution to support robust requirements definition and management. WPS decided to invest in a purpose-built solution with robust capabilities for visualization, traceability, and reuse. It considered other tools, but recognized that Blueprint brought these features together in an integrated environment that would empower them to improve collaboration, manage compliance, and improve the quality and consistency of requirements. WPS to document and analyze traceability from requirements through test case execution. This full-lifecycle traceability gives teams the ability to ensure full requirements and test case coverage, which is critical in WPS’ regulated environment. It also supports analysis to understand the impact of regulatory change. WPS is leveraging Blueprint’s central repository to develop a consolidated view of information, so it can begin reusing requirements across projects. They expect reuse to improve the consistency and quality of requirements and accelerate IT project delivery across the portfolio. While WPS is rolling out Blueprint on projects that follow a traditional Waterfall approach, it expects to use it to support Agile projects as well. Blueprint’s ability to manage requirements across projects regardless of methodology is key to WPS’ ability to support requirements across its portfolio in an integrated manner. WPS expects to reduce costs related to duplicative work throughout a project by at least 10% within 18 months of project completion. As it has rolled out Blueprint, teams have seen a dramatic decrease in the number of errors caused by faulty requirements. Elimination of rework has greatly improved efficiency. Blueprint’s capabilities for visualization, traceability, and reuse have been key to these successes. Blueprint has helped WPS overcome the challenges associated with managing requirements in a complex, regulated environment. WPS has the control it needs through Blueprint’s centralized repository, predefined requirements, and robust traceability. By providing a robust tool for collaborative development of requirements, business and IT stakeholders have become more engaged. Teams are responding positively to the new capabilities Blueprint provides. Improved project success fuels continued satisfaction. Improved requirements through the use of Blueprint’s flexibility and its capabilities for visualization and reuse. Robust traceability to promote analysis, manage change, and ensure compliance. The use of Blueprint to enable test case creation and improve test management. With Blueprint, WPS has the tool it needs to enable teams to collaboratively define high-quality requirements. It is on track to reap continued benefits in the forms of faster delivery, reduced costs, and improved project outcomes.